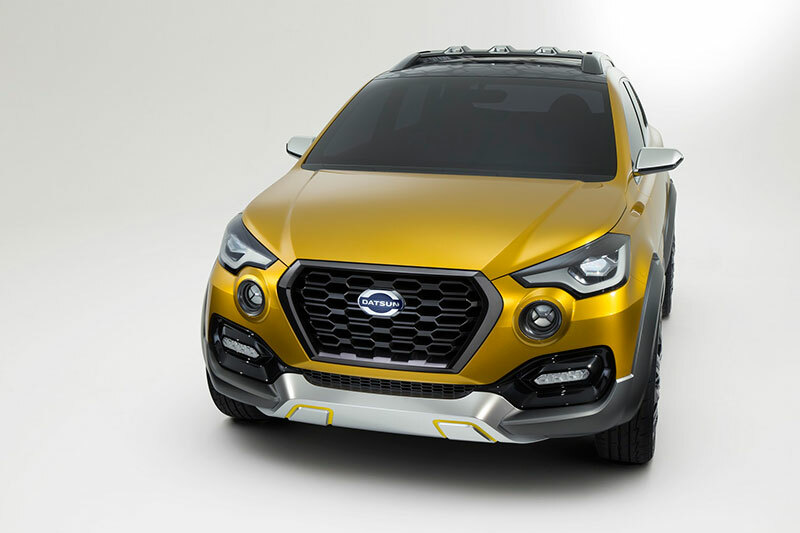 The all new Datsun Go-Cross concept was first revealed at Tokyo Motor Show, the Datsun Go-Cross concept will make its Indian debut at the 2016 Auto Expo. 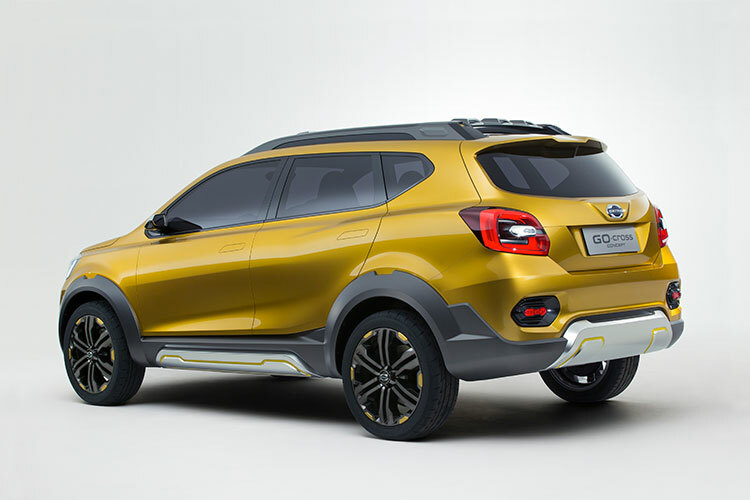 New Datsun Go-Cross could be launched in 2 different seating capacity variants: five-seater and seven-seater models. The probability of getting five-seater model of Datsun Go-Cross is higher than that of seven-seater one. 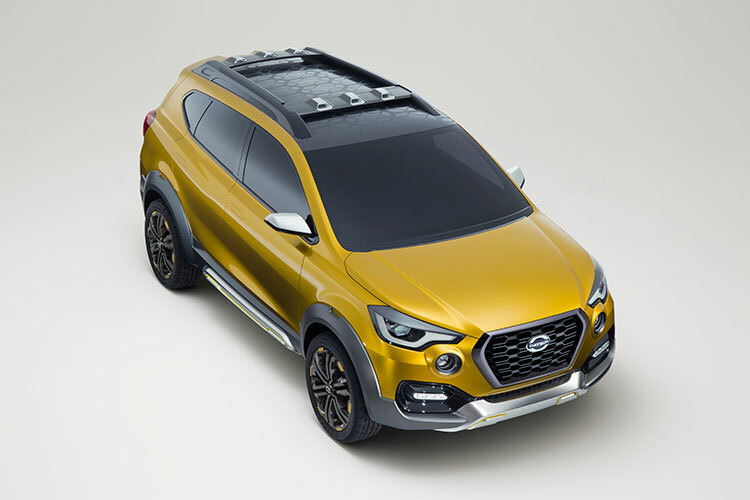 The car is based on Datsun’s Go+ MPV (Multi-purpose vehicle) and sports a tough body kit and is very off-road friendly. Just like any other crossovers and SUVs, Datsun Go-Cross features the body cladding all around it with silver skid plates at the front as well as at the back. The headlamp of Datsun Go-Cross is sleeker and the fog lamp of the car is placed higher and closer to the grille of the car. The car rides on larger wheels and at the rear, the car gets C-shaped tail lamps as well as an integrated spoiler. The chunky roof rails of the car provides tough look for the Go-Cross car. The technical details of the car has not been revealed yet. The car being more contemporary and up-market products than the GO siblings, the Datsun GO-Cross duo would likely be priced pretty higher than that of Dastun GO and Datsun GO+. Expect the price of new Datsun Go-Cross to be around 5 lakh rupees. Check out more photos of Datsun Go-Cross.